With page 1 and 2 I have got ahead of myself, so now, a flashback. 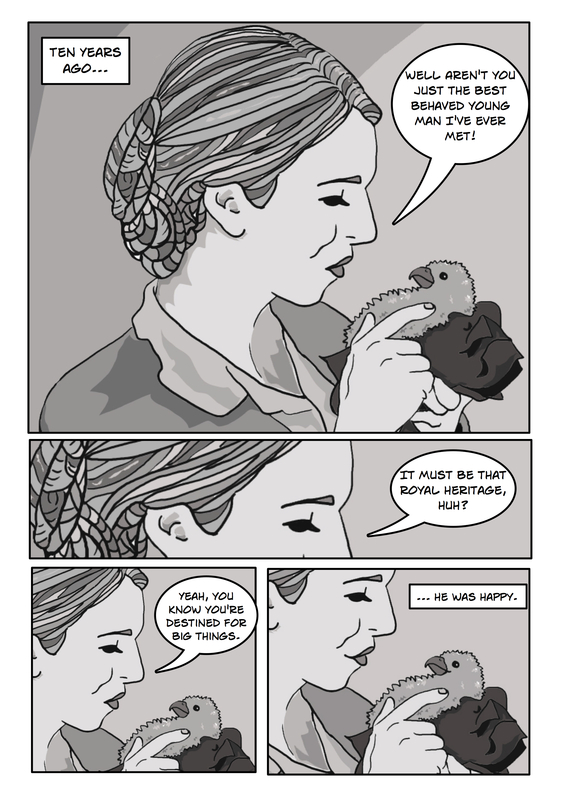 Baby falcon’s handler is based on my friend Ari, who is rather perfectly a writer and falconer by trade. Have a look at her blog to find out more..